Video game worlds have certainly come a long way since their formative period in the 1980s, when it was impressive to just move in three dimensions rather than the limited 2D planes of the 8-bit and 16-bit era. As soon as technology made it possible, developers began turning video games from linear, guided experiences into choose-your-own-adventure stories, with open worlds just waiting to be explored and uncovered. Over the years, these have grown more detailed, more lifelike, and, most importantly, much larger. It sounds like a perfect example of increased horsepower making games better, and there’s certainly something to be said for the massive, vibrant worlds created by companies like Bethesda and Rockstar Games; but as time has gone on, open worlds have begun to grow too big for their own good. Far too often, players are given worlds so large that their sheer breadth and scale is considered a selling point, rather than the potential activities to be completed within it. It’s creating a cycle of “bigger is better” marketing that results in games that don’t feel more alive at all. In fact, they often feel deader than ever. Though certainly not the first open-world game by any reasonable criteria, Rockstar’s Grand Theft Auto III helped to usher in a change in design philosophy that can still be seen in games nearly two decades later. Rather than simply send you to various parts of an enormous and static map to complete missions, Rockstar made you feel like a citizen in Liberty City. Twice the size of our last game. Bigger than anything we’ve done. Nearly any vehicle could be hijacked, allowing you to explore in style, and total chaos was just a few bullets away. It encouraged experimentation, and made travel a key component of the story. Without the open world, Grand Theft Auto III wouldn’t be the same game. Rockstar has stuck with this approach over the years, making each and every one of its game worlds indispensable in the context of narrative. Grand Theft Auto V simply would not work if we didn’t have the opportunity to explore the swanky faux Beverly Hills in addition to the poverty-stricken urban areas in Los Santos, or the desert just outside the city. 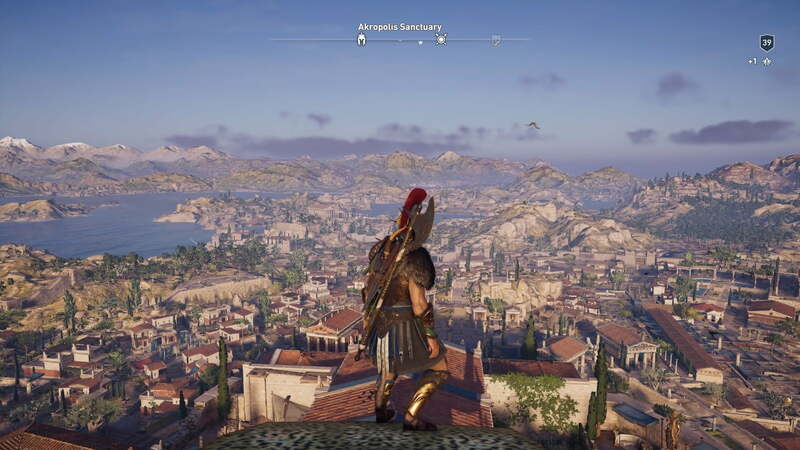 For other games, however, increases in technical power weren’t seen as an opportunity to make environments more alive or relevant to world-building, but rather as a chance to simply make them as big as possible. Bigger than Skyrim. Twice the size of our last game. Bigger than anything we’ve done before. It certainly sounds great in a trailer, and it’s a nice back-of-the-box bullet point, but what does that actually mean in practice? Does it lead to a richer experience, and can the open world justify its own existence? Too often this generation, the answer to both questions has been “no.” Open worlds are being chosen not because they can offer a better experience, but because they can offer a bigger experience. Why does the game have to be this big, and does it improve the moment-to-moment experience? 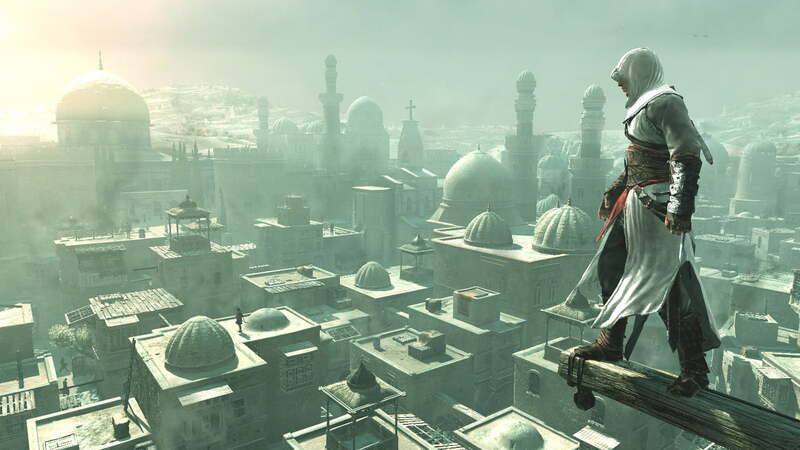 Ubisoft has oftentimes been the guiltiest of this, with nearly all of its single-player and cooperative games featuring enormous worlds filled with “stuff to do” that doesn’t always translate to better games. The Ghost Recon series is a perfect example. 2012’s Ghost Recon: Future Soldier was a largely linear, mission-based tactical shooter, but it still managed to provide player agency despite its linear design, and there were plenty of big-budget blockbuster moments in the story. It set a solid foundation on which future games could be built. Instead, Ubisoft took a different approach with Ghost Recon Wildlands, a game the company boasted has its biggest open world in history. The entirety of Bolivia is explorable, and it’s certainly breathtaking to look down at the map from a helicopter seat, but Wildlands is often downright boring as a result of this scale. Going from mission to mission takes several minutes of driving or flying with only canned banter to keep you company, and the missions themselves often feel cut-and-pasted. Rather than each element being great, everything is thrown at the wall in the hope that a few things stick. Those moments still feel amazing, but you have to cut through a lot of garbage to get there. This approach shows few signs of slowing down; Assassin’s Creed has fallen victim to it in the past two iterations as well. 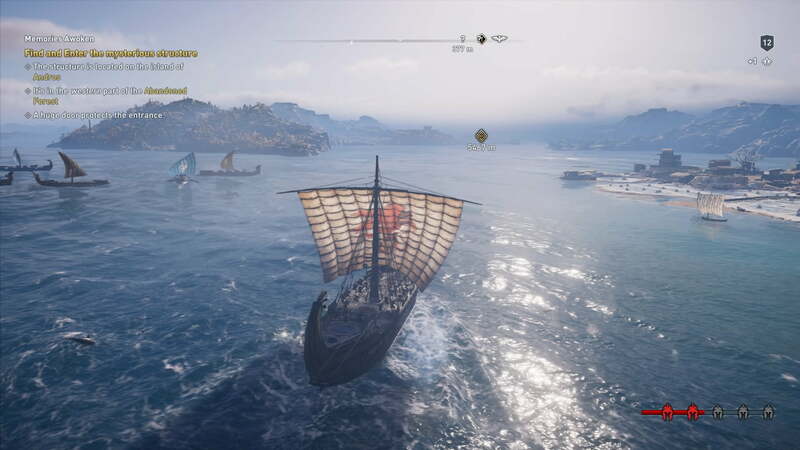 Vast, detailed, and downright gorgeous, both Origins and Odyssey offer a level of meticulousness rarely seen in video games, but they sacrifice pacing to achieve this. The games come to grinding halts as you must prepare your level, abilities, and equipment before entering a new zone, with the finish line so distant that it’s almost invisible. There isn’t an easy solution to this, and the answer certainly isn’t to stop making open world games or even stop increasing the size of their worlds, but we need to start looking at the “why” rather than the “what.” Why does the game have to be this big, and does it improve the moment-to-moment experience? It’s why No Man’s Sky was such a disappointment at launch: billions of planets to explore, but the only draw was exploring more of them, rather than truly enjoying the time you spent on your current planet. Without that, why would you want to continue at all? It’s like hating the food at a restaurant and then complaining about the small portion sizes. I hope to be proven wrong. Perhaps a massive open-world game will come along that justifies its size — and in the case of creative sandboxes like Minecraft, they occasionally do. But look at Rockstar’s most recent Red Dead Redemption 2 videos for some insight into why their open worlds are so engaging. They don’t harp on the size, but rather what you can do, and the natural progression of your actions despite the many available options. The game is an open world because of the activities it holds. The activities aren’t included because it’s an open world. That distinction is at the heart of a truly great open-world game, and those can’t be created simply by increasing their scope.